Whip up savory dishes with these Regal Foods mushroom pieces & stems. 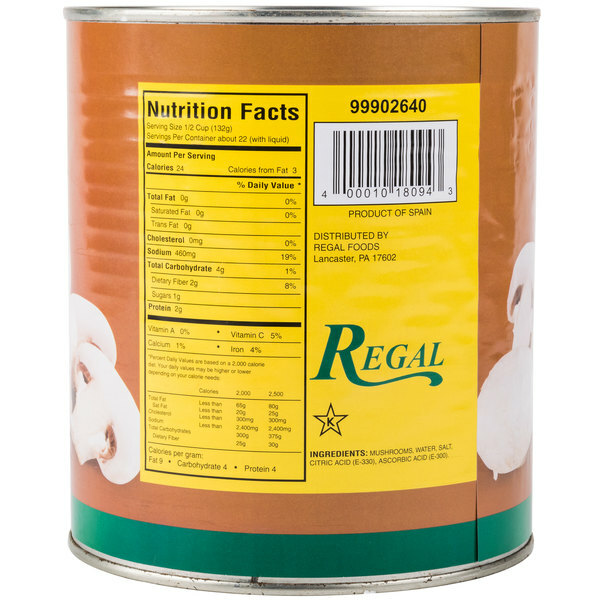 Great for cooking a variety of menu items, you can't go wrong with the excellent quality and value of Regal Foods canned goods. Stock up on this #10 can of mushrooms to keep in your pantry so you always have mushrooms on hand when you need them most! "Excellent quality and a great buy! We used them in a variety of recipes including topping off our pizzas, and using in stir fry recipes." Conveniently pre-sliced and pre-washed, these canned mushroom stems and pieces are the perfect solution for eliminating hours of kitchen prep work without sacrificing that homemade taste your customers know and love. Quickly and easily serve your guests with these perfectly portioned pieces and stems. These nutrient rich Regal Foods sliced mushrooms offer big flavor while being naturally low in fat and calories. Prepare healthy menu offerings and saute them with fresh, crisp veggies for a homemade stir fry. 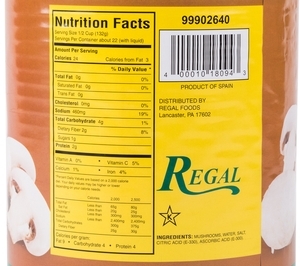 The canning process ensures that these mushroom pieces preserve their texture and freshness. Because they soak in their savory juice and they are packed in water, they are great for broths, roasts, soups and other delectable recipes for the most exceptional taste at a great value. They are deliciously fresh each and every way you make them! You won't find a better buy on canned mushrooms anywhere. I live in the heart of the USA's mushroom growing capital (Reading, PA) and even the Canneries don't come close to the price-point on these. A canned mushroom is a canned mushroom. If the quantity is too large for you, you can divide these 1-gal cans up into sealed, sterile jars, and refrigerate until ready to use. They'll keep for weeks that way. These mushroom pieces are very good for salads and sauces. They add flavor and meatiness texture to many food dishes. These are indeed good mushrooms. 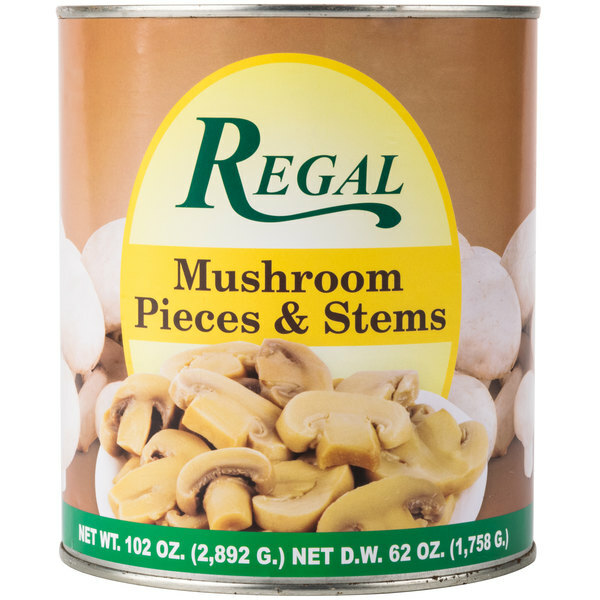 As with all Regal products these mushrooms were supiour the can was packed full and could have passed for sliced rather than pieces and stems. A very top notch quality can of mushroom pieces and stems that tastes great. The mushrooms are wonderful for making chicken marsala and helps cut back on preparation time. The service on this product and all the things I ordered from Webstaurantstore.com was Wonderful. These Regal Mushroom are wonderful making fried Mushroom fritters. Would highly recommend. I’m not a huge mushroom fan but my husband really enjoys them. He likes to put them on steaks and pork chops among other foods. 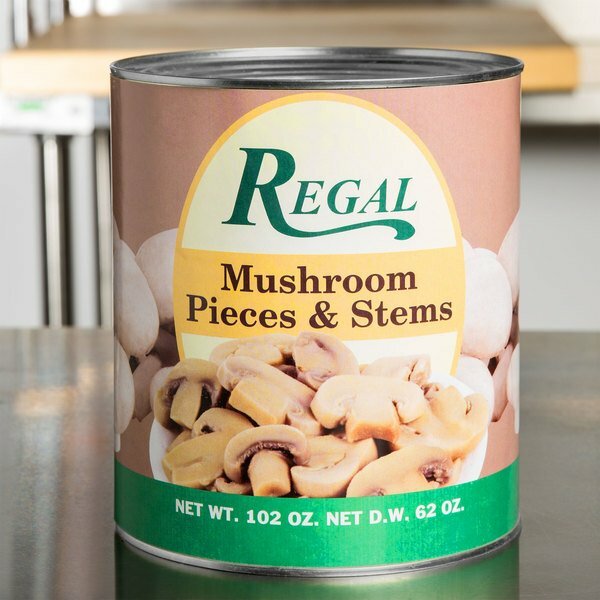 Superb quality mushroom pieces and stems from Regal Foods that are great for making our mushroom gravy. These are plump and juicy and very tasty. A nice brand of mushroom pieces and stems that are great for making our mushroom gravy. The mushrooms have a great texture and price perfectly. These mushrooms are great in sauces and on pizza and in Calzones. They are delicious sautéed with garlic and onions. Great prices as well! We will buy again and again! The mushroom pieces and stems are so good in my mushroom chicken casserole. They have a great flavor and are perfect for making chicken marsala. The mushroom pieces and stems save us a lot of time from having to wash and chop up mushrooms. They taste great and blend well into our mushroom gravy. An awesome buy that you will not regret. I use these for home, and a much as we love mushrooms here, we always seem to use the can. Perfect for adding to pizza, Italian dishes and even to soups and stews for added flavor. These are excellent mushrooms at a very good price point. They are a nice light color, which makes them more appealing than many canned mushrooms. We use them on pizza, in sautes and just about everthing else. I am ordering more today. This mushroom pieces are good in all kinds of dishes casserole's, spaghetti, soups, they are good to keep on hand I always keep them on hand and they are really cheap! These Mushroom Pieces and stem save you alot of prep time and they have a very good flavor. Good Price. You sure can not get this at the store for this price. The Mushroom pieces & Stems sold in #10 Cans. They are great for sautaing in stir fry, or adding to any dish. They come pre cut so it sure saves alot of time preping. These mushroom are good to make your own cream of mushroom soup or sautee to go in soups. I always keep plenty on hand. Good buy. This is a great item for slowly simmering and blitzing up for a nice soup that costs little to nothing! I like blending these mushroom pieces and stems into a silky puree! 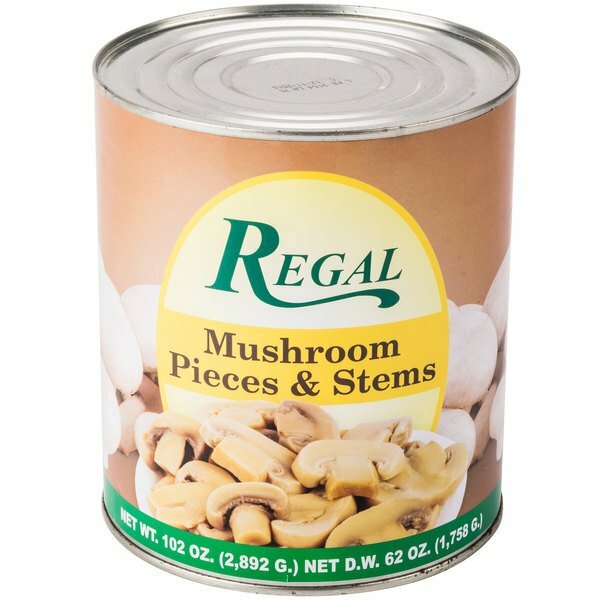 These canned Mushroom pieces and stems are pretty good. Fresh mushrooms from the vendor are always better, but these are close enough to work in a pinch if you run out or something. Best mushrooms around. We've ordered this several times, the price beats my local supplier and the mushrooms, when cooked always taste fresh, for the price with shipping it's a great deal. 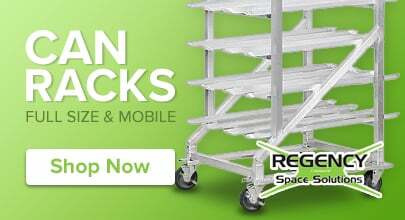 Excellent quality and a great buy! We used them in a variety of recipes including topping off our pizzas, and using in stir fry recipes.